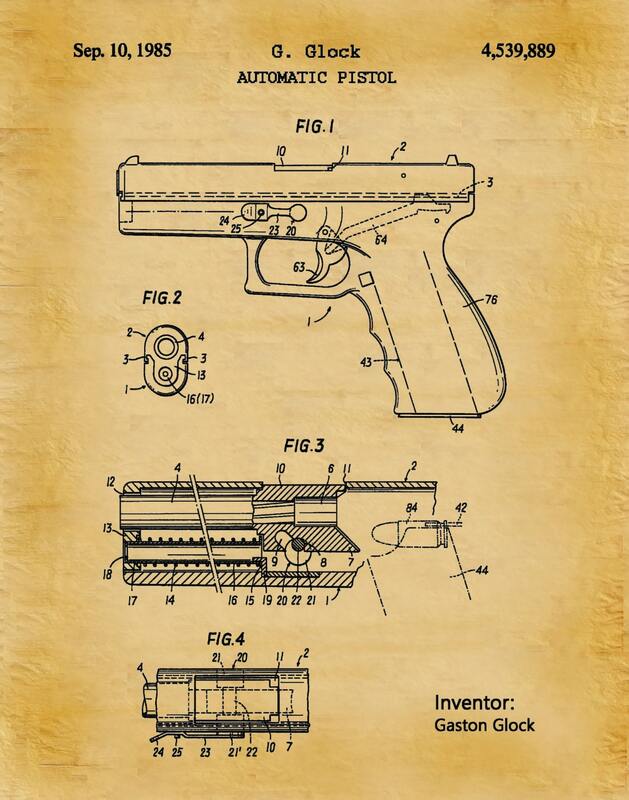 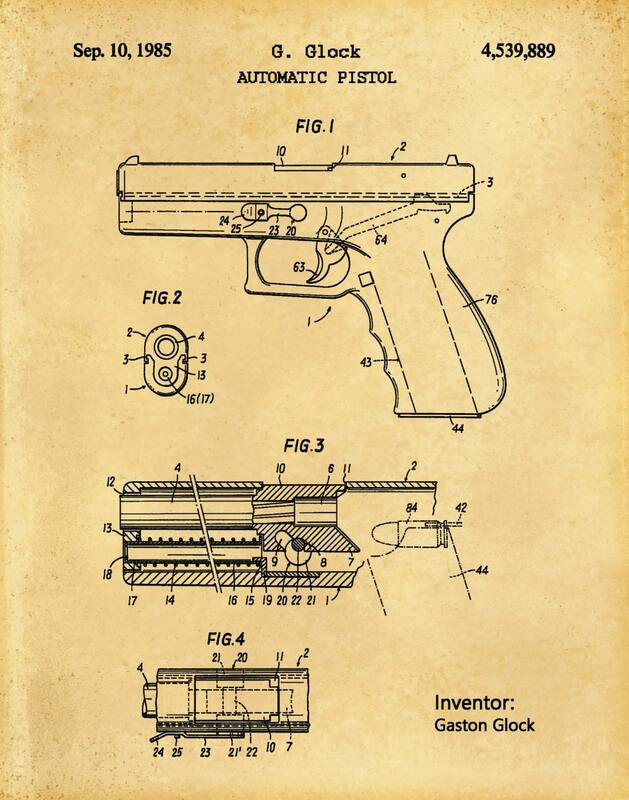 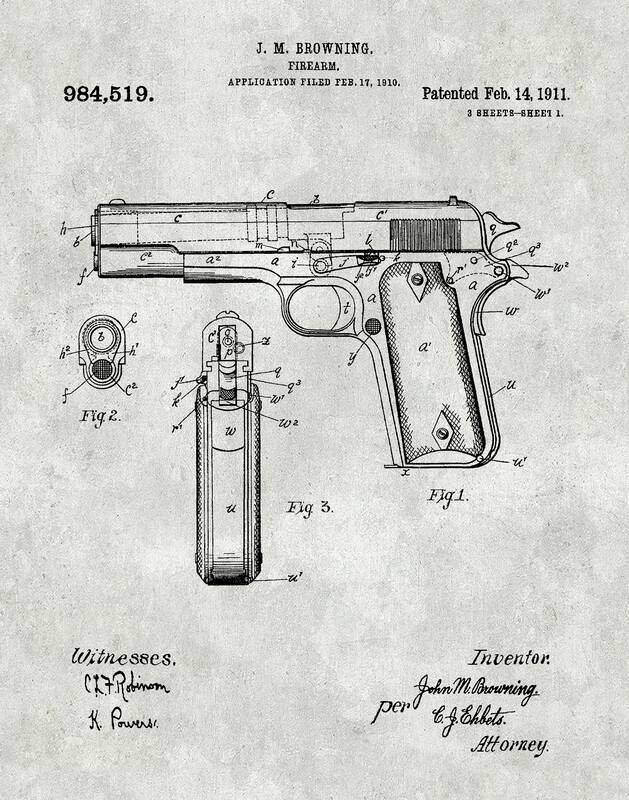 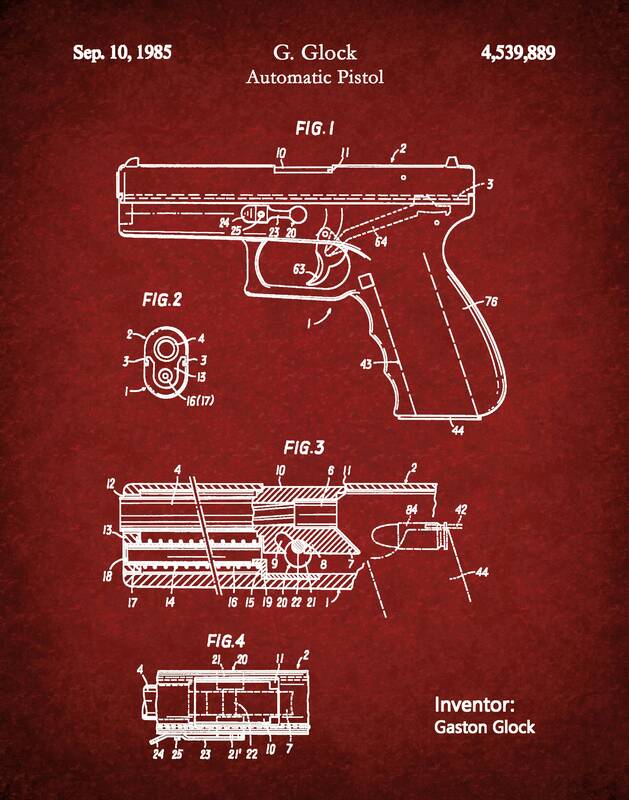 1985 Glock Pistol Patent Invented by Gaston Glock . 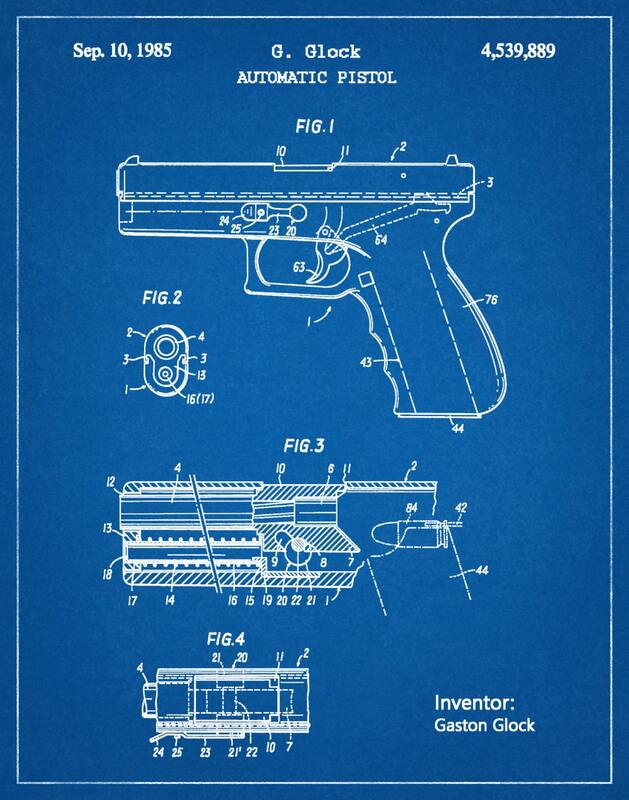 The patent issued by the United States Patent and Trademark Office on September 10, 1985. 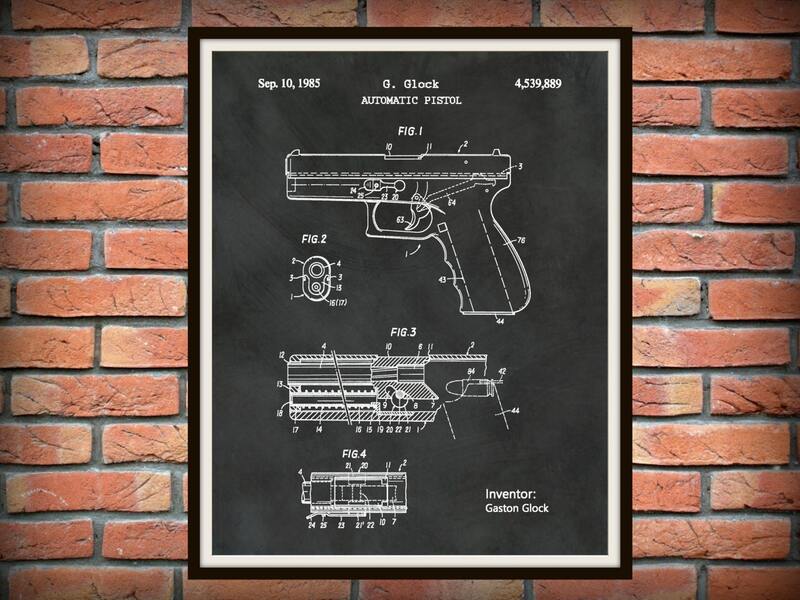 I purchased these prints as a gift for my brother and he absolutely loves them. 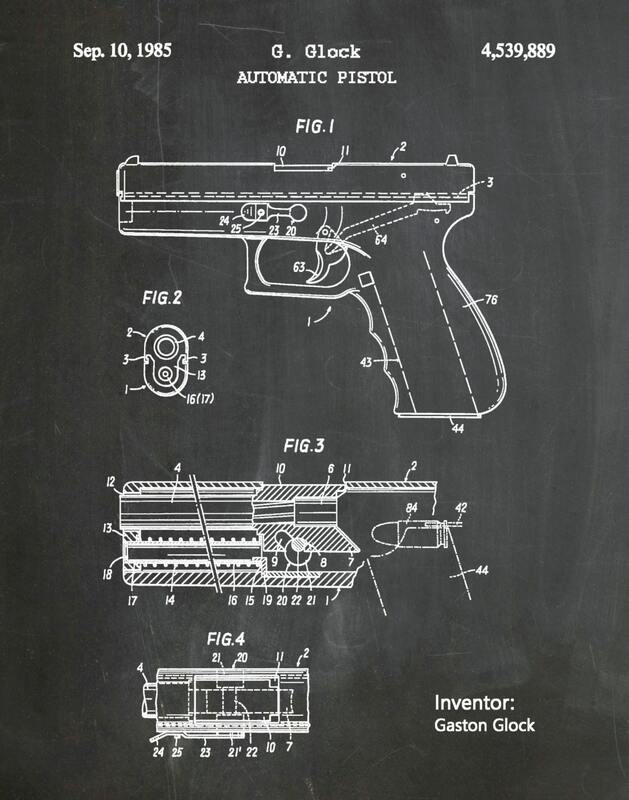 The prints are high quality and arrived very quickly. 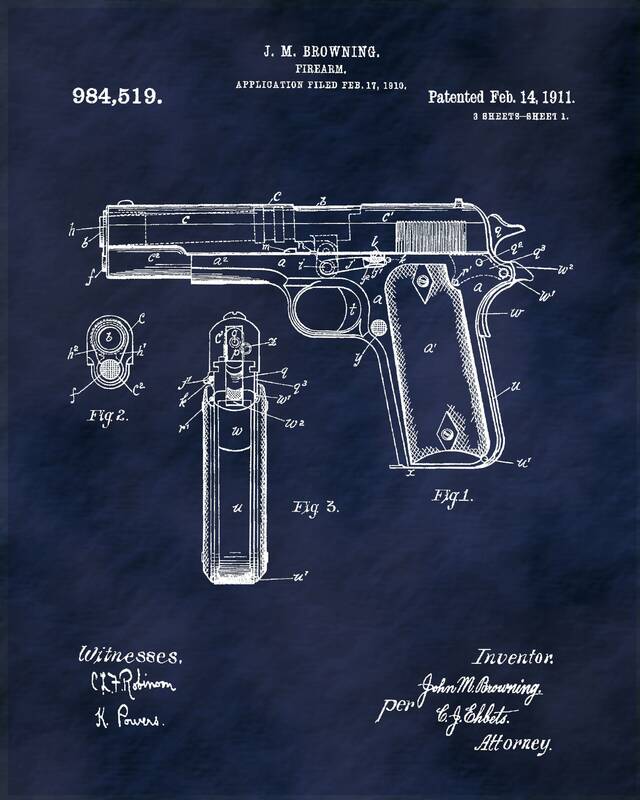 I am very satisfied with my purchase and plan to buy from this shop again.